Why would I need self storage in Great Neck, NY? There are a variety of reasons why you might need self-storage in Great Neck, NY. How much is a storage unit in Great Neck, NY? The cheapest storage unit in Great Neck, NY is $293.00 per month. What size storage units do you have available in Great Neck, NY? In Great Neck, NY we have sizes that range from 10'x15' to 10'x20' to suit your storage needs. How much is it for a 10'x15' storage unit in Great Neck, NY? The cheapest 10'x15' storage unit in Great Neck, NY is $293.00 per month. 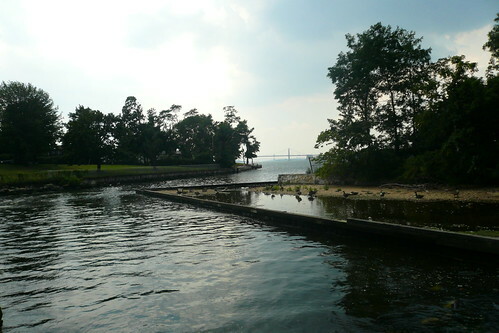 Great Neck is a small village on Long Island and part of what is generally referred to as the Great Neck Peninsula. In order to distinguish it from Greater Great Neck, which includes several villages, locals often call the community the old village. With a tight knit residential community, strong commercial prospects and a location just 25 miles from Manhattan, Great Neck is a highly desirable place to live and work. Early settlements in Great Neck date back to the late 17th century, and the area was largely agricultural through the 19th century. Developments including a schoolhouse and a post office helped the village grow in its early years, while telephone service and rail service boosted development in the late 19th and early 20th centuries. The village of Great Neck was incorporated in 1922, and like many areas of the country it experienced significant growth during the middle of the 20th century. The community's population peaked in the 1970s and has begun to grow again in recent decades after a slight pause. Great Neck and Long Island are home to numerous successful businesses. Financial companies BRT Realty Trust and Manhattan Bridge Capital and investment company One Liberty Properties are the village's largest businesses and employers. Other major businesses in the area include communications company Cablevision Systems, finance company Broadridge Financial Solutions, health care equipment distributor Henry Schein and technology provider Systemax. These companies provide a wide variety of jobs in the Great Neck area, so you'll have plenty of options as a new resident. Students living in Great Neck attend Great Neck Public Schools. You'll also find a number of private schools in the area, with many faith-based options to consider. Utilities: Major utilities providers in the area include the Long Island Power Authority and the Water Authority of Great Neck North. Garbage and Recycling: You can expect regular collection of your trash, recyclables and yard waste. Transportation: The MTA, Long Island Rail Road and local ferries all provide public transportation options in Great Neck and surrounding communities. Housing prices in Great Neck might be well above the national average, but the area's most affordable homes are in the center of Great Neck, particularly along Middle Neck Road. The village's higher-end homes are generally concentrated on the north and south edges of Great Neck. With a median home price that stretches above the million-dollar mark, it's clear that Great Neck is a very desirable place to live. Our lowest priced units in Great Neck, NY average $293.00 per month. 18 people have reserved units in Great Neck, NY in the past 30 days. There is 1 location within Great Neck, NY's city limits. There is 1 location in Great Neck, NY that offers AC and Heating features.